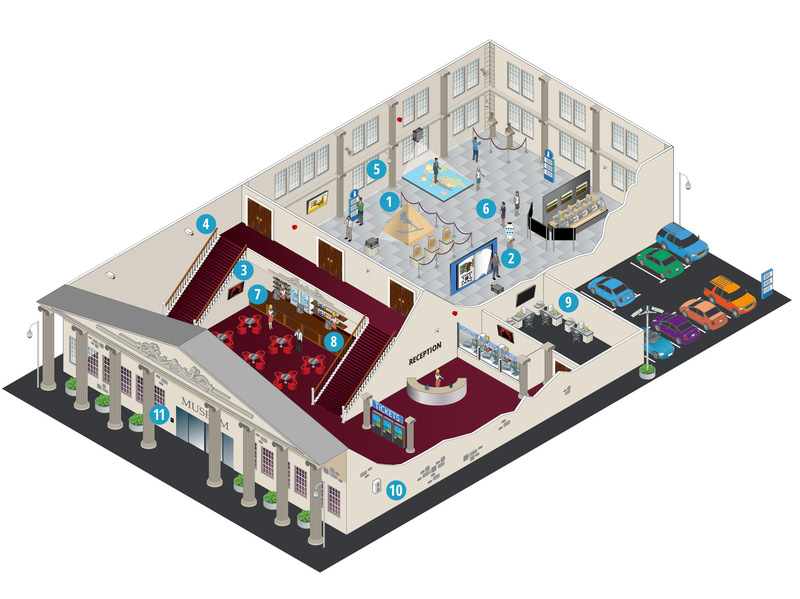 How do Panasonic solutions support museums? Food services and shopping facilities not only bring additional visitors to your premises, but also increase the revenue per visitor. Both of which are sufficient reason to provide fast, high-quality point of sale services, whether that’s in your store or restaurant. To maintain high numbers of visitors to your museums, you need to be very creative. Exciting and ever-changing exhibitions are required to attract existing and new visitors. With digital visualisation equipment you’re able to change, update and alter your displays in real time and create new themes instantly.